Joliet Herald News article, May 9, 2007, about the Lehavree Healing and Support Service, featuring quotes from the Rev. Rita Travis, associate priest at Grace New Lenox in the mid-2000s. As written in the Anglican Advance: The Rev, Bridget K. Tierney of the Diocese of Southern Ohio has been called to serve as vicar of Grace, New Lenox. Tierney began her new ministry Jan. 1 A 2003 graduate of Seabury-Western Theological Seminary, Tierney most recently served as interim rector of St. John’s in Worthington, Ohio. Before that she served as interim rector of St. James, Columbus Ohio, and priest-in-charge of Trinity Church in Troy, Ohio. Mardi Gras dinner benefit held at Grace to raise money for a new mission trip to New Orleans. Later that spring, a group from Grace went on the New Orleans Mission’s Trip. They took part in hands-on-rebuilding. Paula and Ben Woods, Rita Travis, Bridget Tierney, Margo McDermed, Chris, Roger & Elizabeth Whitehead, Diann Crawford, Dianne Garrelts, Ron Broud, Kathy Russell and Dave Poole. Front Facade of a Commemorative Booklet made by the missionaries to New Orleans in the Summer of 2007. Steve Snyder is able to determine the layer of colors from the plaster that was removed from the church ceiling. The layers of paint are as follows; 1. our current Beige, 2. very light Yellow (yuck), 3. light Beige about the same as we have now, 4. light Blue/Green sort of aquamarine, 5. dark Beige almost Pink (also yuck), 6. Light Beige, 7. Off White, &White, and any previous layers were whitewash. A Garden Committee was formed to take responsibility for planting and general upkeep of the grounds. Sprinkler system is installed. Members: Diann Perry, Judy Broud, Astrid Ciaglia, Rhonda Kuk and the Rev. Rita Travis. “Amazing Grace” headline on the front page of the newspaper. Pam Bloom, Church Historian, is interviewed about the history of Grace. The Rt. Rev. Jeffrey D. Lee visits Grace Church one month into his new episcopacy. Second missions trip to New Orleans. Margo McDermed, Kathy & Mike Russell, Chris, Roger & Elizabeth Whitehead, Diann Crawford, Karen Ziech, Kim & Kevin McGann, Debbie & Dave Poole, the Rev. Rita Travis the Rev. Bridget Tierney. The Rev. Bridget K. Tierney leaves Grace and a new search process begins. Grace Episcopal Church calls the Rev. Ellen Ekevag to be its 35th Vicar. The sanctuary receives a face-lift, most notably in restoration to the interior and the removal of the red carpeting – thus reestablishing the original wood floors. The parish hall is also renovated and painted to become more serviceable to the community as a revenue source for rentals. The Rev. Ellen Ekevag is called to serve as Rector of Emmanuel Episcopal Church in LaGrange, Illinois, and a new search process begins. After a 22 month search, Grace Episcopal Church calls the Rev. Gregory L. Millikin as Vicar, beginning his tenure on February 1, 2018. Millikin, whose paternal ancestors hail from the Ottawa and La Salle areas of north central Illinois, is a former marketer in the film business who previously served as Associate Rector at St. Paul’s Episcopal Church in Alexandria, Virginia. The Rev. Millikin is installed as the 36th Vicar by the Rt. Rev. 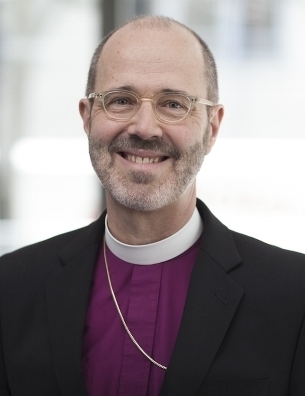 Jeffrey D. Lee, Bishop of Chicago, and becomes the first openly-gay priest to lead Grace Church – another boundary broken in the 150-year history. Grace Episcopal Church officially celebrates is 150th Sesquicentennial Anniversary with a New Lenox Community gala event, followed by a commemorative service on Sunday, November 19, 2018.